How My Spanish Ancestors Ended Up in the United States – The Bookshelf of Emily J. From as early as I can remember, I was taught to be proud of my Spanish heritage. My siblings and I all have Spanish middle names. “You are a quarter Spanish,” my mother would always say. My dad would teach me words and phrases, and Spanish colors and numbers were a regular part of my vocabulary. We listened to the children’s song “De Colores” over and over in my Spanish grandmother’s cadillac during drives around Morgan Hill, California. When my first grade classroom got a new student, a girl from Mexico named Maria, I befriended her and spoke with her as much as I could. It’s funny, though, that I don’t actually remember doing this. When I visited my friends from that school several years later, they remembered that I had been a friend to the girl who could not yet speak English. Both of my parents speak Spanish. They served missions for our church in Argentina before meeting and getting married. I wish they had spoken to us in the language more often, that I had become fluent. I’m not. And I’ve forgotten most of what I learned in my Spanish classes in college. I know it would come back if I practiced, but I don’t. I do, however, practice searching for my ancestors. In the last few years, I’ve discovered that the Januarys emigrated from France to the United States in the early 1700s. Currently, I’m trying to figure out where my Spanish ancestors came from. I want to know more about who else came before me in that line, and I want to know exactly where they lived and what they did in Spain. I have not discovered the answers to these questions yet. I have made a big discovery in terms of their circumstances, however. A few months ago, I put on my researcher’s hat and said, “Why did they come to Hawaii and then end up in California? What was going on historically during that time?” I searched the internet for information about Spaniards immigrating to Hawaii, and I hit the jackpot. I found out that during the early years of the twentieth century, Spanish and Portuguese people were recruited to work on fruit plantations in Hawaii when the Japanese no longer wanted to. I found the ship’s manifest that lists my great great grandparents and their children, and I figured out why my great grandmother Antonia Montosa, for whom I am named, was born in Hawaii. Her parents had moved to Hawaii for work. Antonia’s family ended up in Los Angeles and eventually the Sunnyvale and Mountain View areas of California, where much of my family still lives and the area where I was born. I learned all of this through an amazing website called Spanish Immigrants in the United States (http://tracesofspainintheus.org). 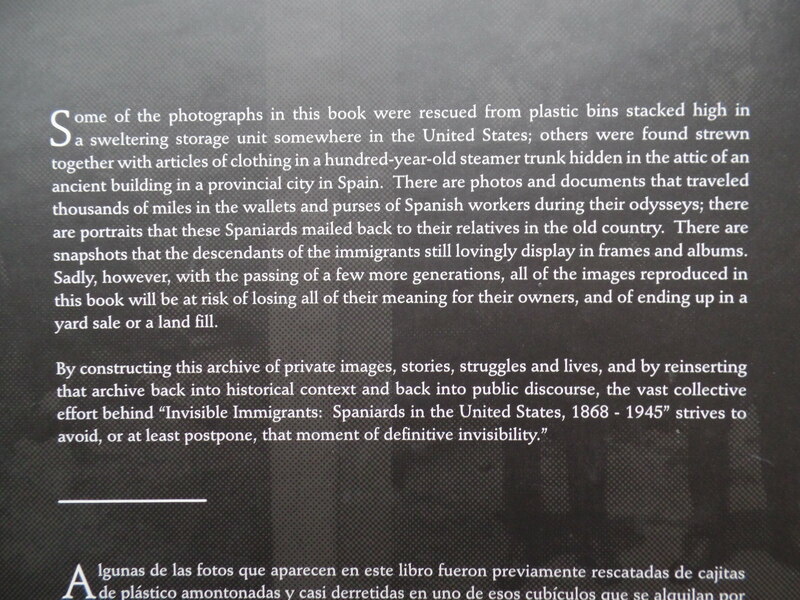 I also ended up ordering the book created by the owners of the websites, professors interested in making these Spaniards visible in the history of the United States. It came with some beautiful postcards and a cool canvas bag. 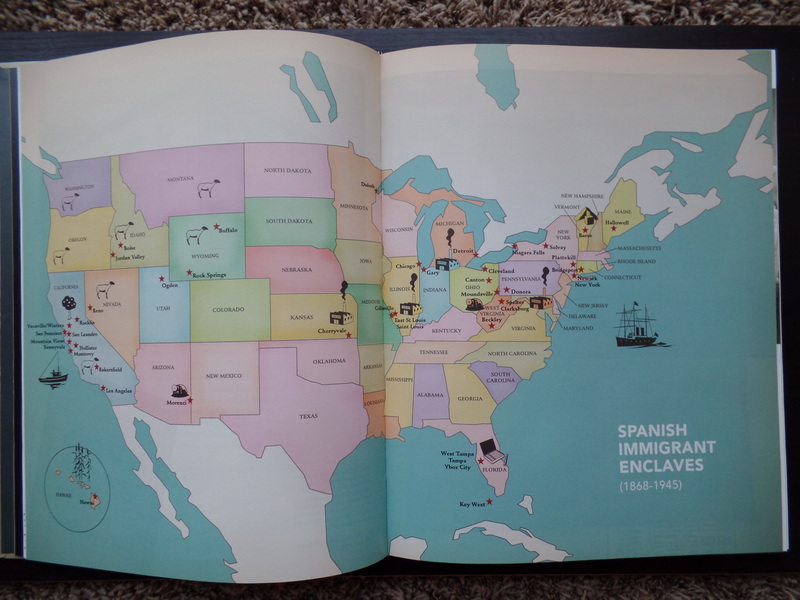 It included a map showing all of the enclaves where Spaniards ended up. 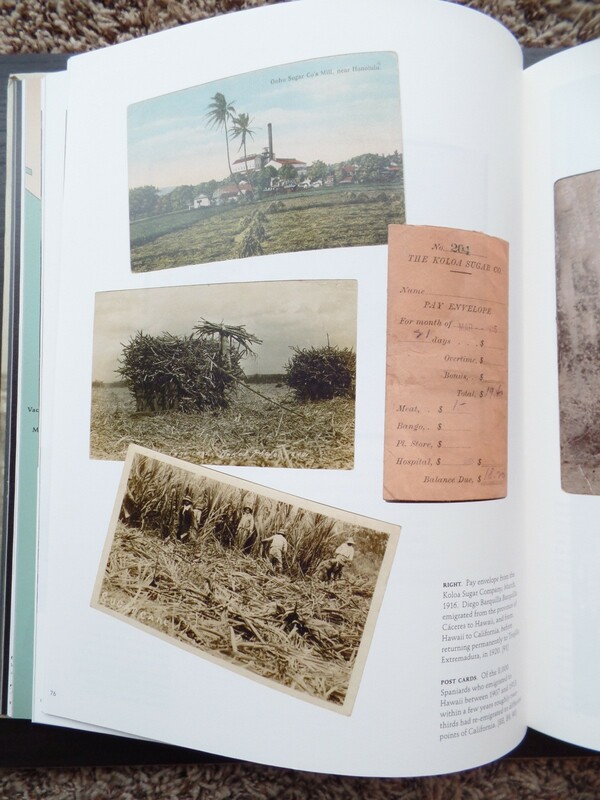 And of course it has many pictures, including those of the plantations in Hawaii where many of these people worked. The back cover explains the creation of this amazing book. And of course, all text is presented in both English and Spanish. These are my ancestors. I had hoped to see their pictures in the book, but I did not contribute them so they were not there. 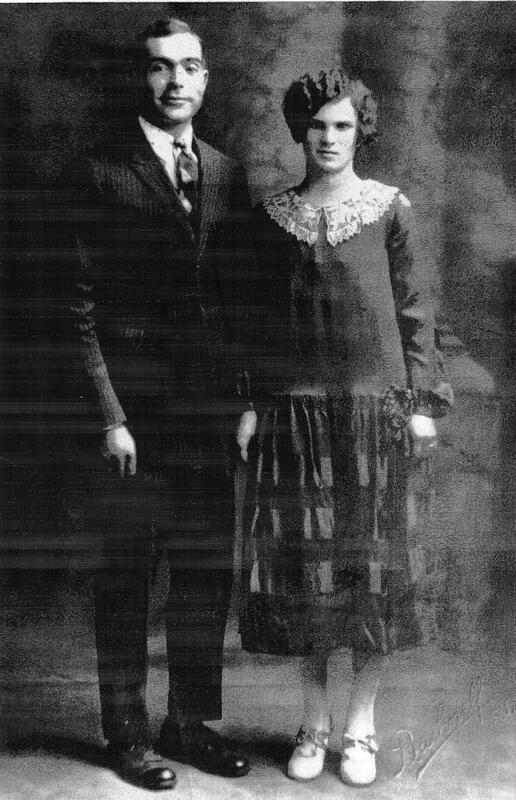 Maria Urbano Romero with husband Jose Aguilar Montosa. Children L to R are Eulalia Montosa, my great grandmother Antonia Montosa, and Jose Montosa. My great grandmother Antonia Montosa on her wedding day with Felix Juanes, my great grandfather. I had hoped to learn more about the Montosas and the Juaneses specifically from the book, but I didn’t. 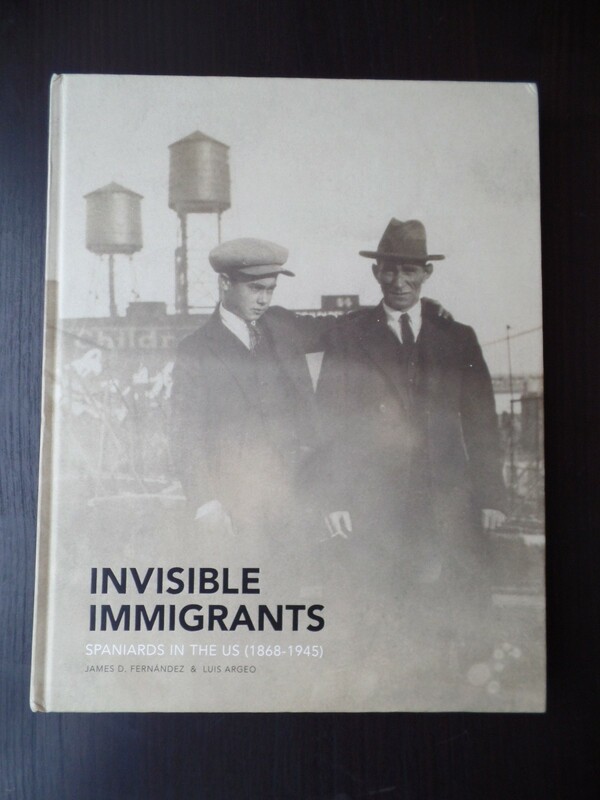 The book is more of a cultural history that highlights the various movements, clubs, and activities of many groups of Spaniards in the United States in the early twentieth century. Although I did not get any specific information from this book, I did get a sense of why Antonia’s husband, Felix Juanes, arrived in the United States via New York and made his way through Ohio and eventually to California where he met my great grandmother. Of course, I sent a copy of this book to my Spanish grandmother for Christmas. The next step in this quest for family information is a trip to Spain. I have not planned it yet, but somebody I will go. I need to know them. They have always been my people. This is really interesting, Emily, and what a great book to find! One of the coolest books I’ve ever come across. Music to our ears!!! (Jim Fernández and Luis Argeo). ¡gracias! It sounds great. If you have names and dates you could try churches and dioceses as they always kept registers of births (that is if you know where they came from). There are a lot of people checking ancestors in Spain too, although you might need to access Spanish websites. Although of course, a trip to Spain is always a good idea (I’m from Barcelona but have lived in the UK now for a very long time). Good luck! Oooh great ideas! I did write to a priest a few years ago and he did tell me of a sister to my great grandfather that I did not know about, but nothing else. I hope to look at those records myself someday! Emily, sister to Felix Juanes? Do you know her name? I know he had 4 brothers but never heard of a sister. How interesting, something to look into. According to the priest who sent me a letter, her name was Isabelino Juanes and she was born on 3 June 1909. I don’t know anything else. I wonder if she died as an infant. Fun! I’ve researched my family back as far as their immigration to the U.S. but not across seas yet and I have a similar question. Why did my Norwegian & Swedish ancestors immigrate into the Seattle area and not the East Coast, which is far closer. I’ll have to keep digging. Glad you found some answers on your Spanish – to- Hawaiian ancestors. I think a trip to Spain is a great excuse to travel as well as dig up your ancestor’s stories. And might as well visit Hawaii while you’re at it. 🙂 That book looks amazing even if it doesn’t have your specific family in it. It IS an amazing book. It is my new permanent coffee table book. I hope you are able to find out why your ancestors went to Seattle. Perhaps search historical events in those areas around the time they came. That could give some insight! Good for you. Must feel good researching your family history. I’ve heard stories about my Italian ancestors but haven’t dug around officially. Maybe you’ll inspire me to do so. You totally should. I’ve found ancestry.com to be the best in terms of the amount of documents and search abilities. It has been worth the fee. I’m not sure how many overseas records they have yet, but they get more every day! 🙂 Right? I love this stuff! That is so great. Wonderful how you managed to find out more about your heritage. And an interesting one as well! Thank you! I hope to know more eventually. I have the same book and was hoping to read something about the Montosa/Juanes families in it. They were not there, but the book is a wonderful book to have. Reading your blog on how your ancestors ended up in the United States was very interesting. I have the same pictures that you posted of your great grandmothers family photo and her wedding photo. I also have a copy of the poster you posted. 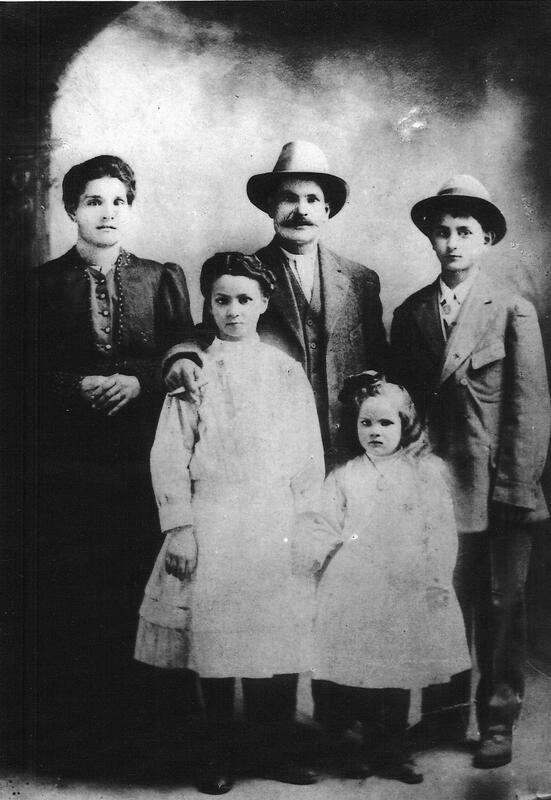 After 4 daughters, Antonia and Felix Juanes had a son, your great uncle Felix Manual Juanes, whom I am married to. After Felix, 2 daughters, Eulalia (your great grandmother and Frances. Last of the Juanes children is another son, Raymond, whom we call Uncle Shorty. Regarding the poster from Spain, I had an aunt translate the poster for me many years ago. 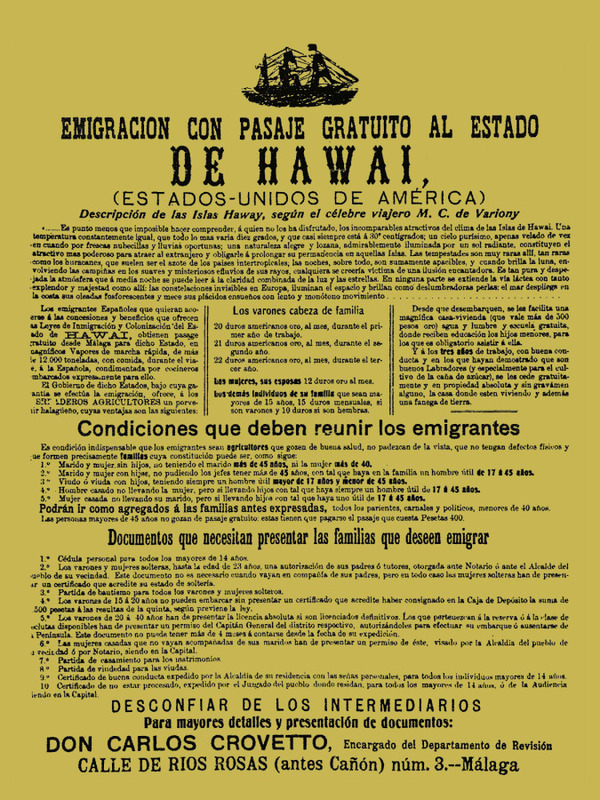 In a short synopsis I was told that the poster was distributed throughout Spain, stating that the United States Government in conjunction with the sugar cane plantation owners of Hawaii were sponsoring free voyages to Hawaii, and among the guarantees were employment, housing and schools for the children. It explained the monies that would be payed per families and individuals working for the Hawaiian owners of the plantations. It is also noted what type of documents would be needed for those that were eligible for the trip. Your great grandfather was born in Spain, but your great grandmother was born in Hawaii. If and when you go to Spain, it would be interesting to see what information you can get. I would love a copy. We’ve only been to Barcelona while on a cruise, but it was so beautiful and from what I read, everyone loves Spain, more so than most countries. Wishing you a healthy and happy 2016 for you and your family. Rosalie, thanks for the wonderful comment and information. I love knowing more about this, and I hope somebody to gather information in Spain. I’m glad to have you as a great aunt by marriage. Did your Gomez family come through Hawaii as well? OMG, I didn’t realize that all of my messages went through. I had a hard time, couldn’t find them, etc. Please excuse the extra comments! Yes, both sets of my grandparents left Spain for Hawaii. My dads parents are Gomez and they departed from Gibraltar on the SS Harpalion on Feb 22, 1913 and arrived in Honolulu, Hawaii on April 17, 1912. My mom’s parents are Morales and they departed from Gilbaltar on February 3, 1913 and landed in Honolulu, Hawaii on March 30, 1913. Both my parents were born in Hawaii, my dad in Maui and my mom in Oahu on a sugar cane plantation that my grandfather was working on. Both sets of grandparents left for Hawaii from Gilbraltar. They went around the Cape, the southern most tip of South America and up to Oahu, the main island. At that time, Hawaii was a United States possession. All foreigners had to go though immigration to obtain visas, which was located in Oahu, the main island. Your great grandmother Antonia Montosa Juanes was born on June 02, 1907 in Makawele, Kauai, Hawaii. Your great uncle Felix and I are both 100% Spanish. All of our ancestors migrated from various parts of Spain. The Spaniards that left Spain for Hawaii were known as “The Sugar Boat Spaniards”. Hope a little bit of this information will help you in your research. Reblogged this on connecting storytellers. I looked, but perhaps I missed it – in what year did the sail to Hawaii? Oh my! I forgot to be specific about that. They arrived in 1907. By 1910 they arrived in California. Oh wow. That sounds even harder than me trying to figure out what happened in Spain. Make sure you keep good records for your future generations! Another great post Emily. Our family origins are so dear to us. I’m also laughing that your investigation led to you buying another book. So many of us do that too when we find something interesting. 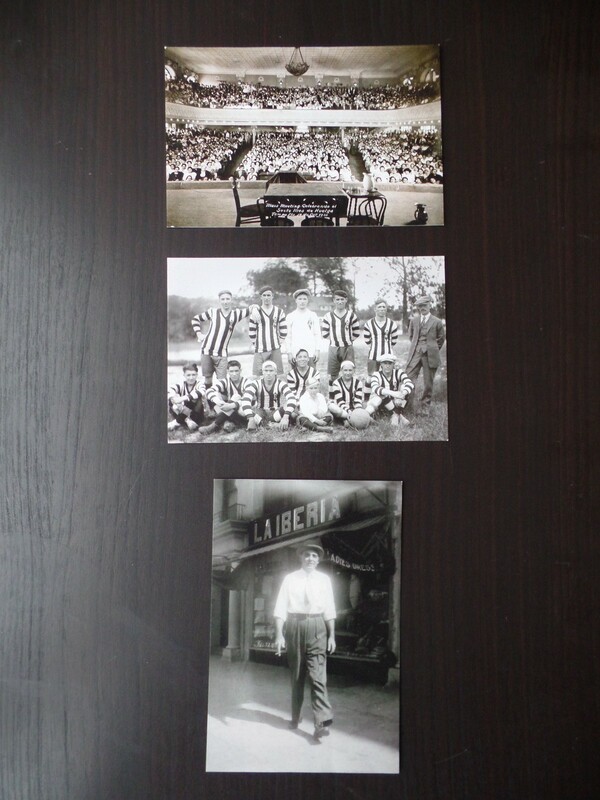 What a great post – I enjoyed your personal story joined to your research and the photographs. I wonder what your grandmother thinks of the book! I wonder what she thinks too! I know that some of her siblings and their spouses have also gotten the book and they loved it but were hoping for more specific information like I was too. I loved hearing about your ancestry and seeing the pictures (yes, I was looking for the resemblance, but it’s hard when the pictures are so old). And, what a great book you stumbled upon. I don’t know a lot about my ancestry, but I do know that some of my greats came from England and Scotland. That doesn’t stand out much around here, that’s for sure. 🙂 I know more about the more recent movements of my grand-parents and parents around eastern Canada. I think I resemble my dad’s side of the family more than this side. 😉 I’m sure tons of records are online for England and Scotland. You should start a search! What a fascinating family history you have! I hope you get to travel to Spain someday soon. 🙂 Do you know roughly which part of Spain your ancestors came from? I know you said you want to find out exactly where they lived, but I wonder if particular regions in Spain had a higher number of people emigrating than others. It really is a gorgeous language. The Montosas come from the Granada, Andalucia, region, and the Juaneses come from Salamanca. I am actually headed to Valencia, Spain, in early April, but I’m only there for a few days for a conference and I have to get home. I won’t have time for research on this! Oh, Granada is a beautiful city! I’ve never been there, but my brother owns a small plot of land in the Alpujarra mountains (near Granada). Enjoy your conference! That sounds fun… Will you have any time, just a little, for sightseeing in the city? Hi, Emily. A few months ago I found it a box with many old letters at home. This box was of my mother (she died four years ago) and the letters were one of my grandfather’s cousin. The letters had written in 50’s…I could know an unknown history about my maternal family. The my grandfather’s cousin emigrated with all his family (his parents, brothers, sisters even some cousins) in a Sugar boat to Hawai. Now I am discovering a new family history! I founded in FB this page: https://www.facebook.com/HawaiianSpaniard/ and it is very interesting. Maybe you can found more information about the Montosas and Juanes. Wow, how fantastic! (An your English is fine.) I’ll have to check out that Facebook page. I’m so envious that you have letters! Very very wonderful. Thank you, Emily. We’ll be in touch! Fascinating! I love genealogy! Best of luck in your search! Have you looked on Familysearch.org? They may be helpful. What an interesting blog post, Emily! I find it a fascinating topic to find out where our ancestors came from and what happened to relatives that emigrated a long time ago (as in my case). Good luck with your research! Thank you! I find this topic so fascinating, and the best part is that I have so many places to research because of the preponderance of ancestors! I will reach out! I also have contact with Antonia’s living children and they would likely want to interview as well. Thanks! Estoy muy contento por ver el gran interés que ha suscitado la determinación de averiguar los datos sobre vuestros ascendientes. Ahora las cosas se han vuelto más sencillas de averiguar, mediante las redes sociales e Internet. Si conocéis exactamente las fechas dd/mm/yyyy y lugar de nacimiento podréis solicitar las actas de nacimiento. Os deseo éxito en vuestras investigaciones. Thank you! I will look into requesting birth certificates. I appreciate your comment. Muchas gracias! I love it: Don’t Give Up! That is a great motto. I have one that sticks with me: Be brave! Sometimes I find it hard to be social about gathering such info, like visiting sites and writing to strangers, but I know it is necessary. Thanks for sharing your thoughts and your story with me. That is so interesting! Maybe they were. Pingback: I Just Realized | The Bookshelf of Emily J. Came across your blog while searching for more information about my Spanish side that came to America through Hawaii and even though my family came through San Francisco down to Santa Clara county. I think it is such a coincidence that we both went to elementary school in Morgan hill. I only did for a couple years until I moved to Gilroy. How interesting! It sounds like our backgrounds and family histories are very similar. I actually went to elementary school in San Jose, but my cousins were at Live Oak in Morgan Hill. I think more writing and research needs to be done on the Spaniards who made their way to California. I too am now researching my Spanish grandparents. They came from a small village called Calvarrassa de Abajo in western Spain, near the City of Salamanca in 1913 on the SS Willesden, and then left Hawaiii in 192o on the SS Lurline for San Francisco, then ettled in San Leandro, California. I have found the records on Ancesry.com very useful, once you learn how to use them. There are many misspellings of yjr Spanish names (and cities) on the ship’s manifests and in the USA’s immigration records. It has taken me many hours of of research to decipher them, but it was worth it. You are doing such important work! Keep it up and thanks for sharing with me.